On February 15th Wake Up Pune attended the Maitri (www.maitriindia.org/ ) Meeting at Sangam. 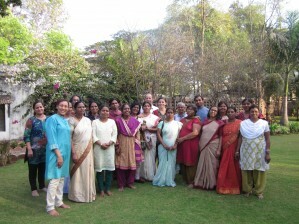 The meeting was focused on VAW (Violence against women) in India. There were talks from organization helping manual scavengers, helping nomadic tribal women and women in slum communities. WUP spoke about how we are educating and raising awareness in the slum communities, and wealthier areas, how by giving knowledge on HIV and protection we are giving women more power and confidence. It was an amazing meeting full of inspirational NGO’s from across India. WUP would like to thank the Green Tara foundation for inviting them. We look forward to more involvement with Maitri and Green Tara in the future. © 2013 Wake Up Pune.